Silver Spring, MD; May 14, 2018 – Leading independent distributor all3media international has secured a range of international sales of the gritty crime drama Hidden (Craith) originally produced by Severn Screen for S4C and BBC Wales. The eight-part series from the award-winning co-creator and producer of the global hit Y Gwyll/Hinterland has been acquired by DR (Denmark), KRO (Netherlands) and VRT (Belgium), who were early adopters of the Welsh Noir genre in Europe as they championed all3media international’s previous investment project Y Gwyll/Hinterland, which shares the producer Ed Talfan with Hidden (Craith). Additional signed European sales include Dizale (France), NRK (Norway) and YLEISRADIO OY-TV1 (Finland) – and five other European deals are expected to close shortly. In the Asia Pacific region the series has been acquired by Rialto Channel (Sky, New Zealand) and an Australian deal is under negotiation. 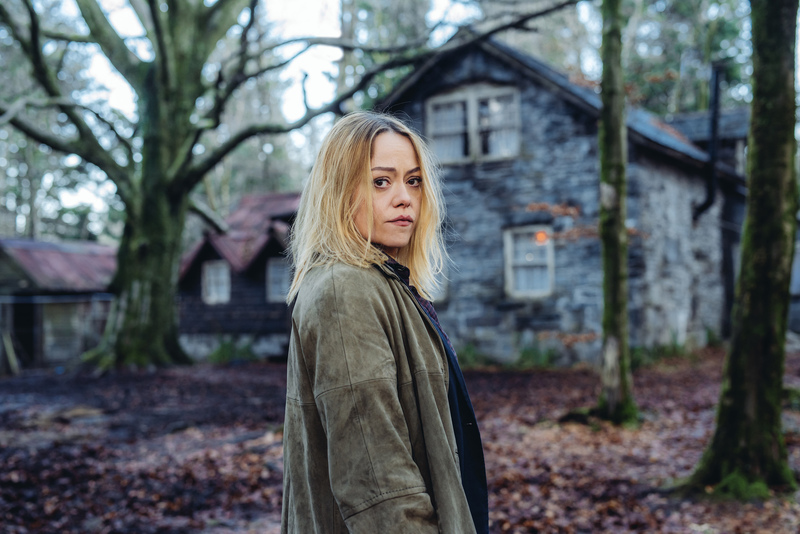 For North America, RLJ Entertainment’s Acorn TV, North America’s largest SVOD for British and international television, has acquired the exclusive VOD, DVD and download rights for Hidden (Craith) in USA and Canada. Acorn TV will feature the exclusive North American premiere in July 2018. The series, which has already been acquired by BBC Four in the UK, has now also been picked up for DVD distribution in UK/Eire by Dazzler. Hidden (Craith) was selected for screenings during the European Film Market at Berlinale 2018 and in Cannes at MIPCOM 2017. Hidden (Craith) is co-created by Severn Screen’s Mark Andrew and Ed Talfan, who also serve as Executive Producers alongside Producer Hannah Thomas. Ed Talfan’s credits include Y Gwyll/Hinterland, Denmark, Apostle and The Passing, and Mark Andrew was script consultant on seasons two and three of Y Gwyll/Hinterland and writer of the third season finale. Starring Sian Reese-William (Y Gwyll/Hinterland, Requiem), Rhodri Meilir (Pride), Gwyneth Keyworth (Wasted) and Sion Alun Davies (Y Gwyll/Hinterland), Hidden (Craith) follows DCI Cadi John (Reese-William) as she is drawn back to her childhood home by the faltering health of her beloved father, and finds herself policing the precinct and people of her youth. It’s a world she never expected to return to, but it’s a job she enjoys. However, when the body of a local woman is found in a remote mountain river, Cadi’s world – and the world of those around her – is changed forever. all3media international distributes popular, award-winning TV programmes to over 1,000 broadcasters and media platforms around the world. The company has been celebrated for producing, marketing and distributing quality, ground-breaking and pioneering shows to global audience – consistently topping the Broadcast and Televisual annual Indies Surveys and we have been awarded the Queen’s Award for Enterprise in recognition of our growth – twice. Our catalogue contains over 8,500 hours of content across all genres, with a focus on drama, comedy, factual, entertainment and formats. As well as Britain’s top-selling series Midsomer Murders, our lead dramas include National Treasure, The Missing, Clique, Safe House, Indian Summers, Liar and Hinterland. Our contemporary comedy slate features Fleabag and GameFace. Factual, entertainment and format bestsellers include Gogglebox, Undercover Boss, Gordon Ramsay’s Kitchen Nightmares, The Gadget Show and The Cube. As part of the UK’s leading multi-label studio we partner with UK and international producers – including our own studios – in developing, financing and delivering content and formats.